Heritage Watch Hamilton has actively supported the preservation and reuse of Auchmar Estate for many years. As an historic site of provincial significance, it is the grand country estate of the Honourable Isaac Buchanan which is located at the intersection of West 5th Street and Fennell Avenue West on Hamilton Mountain. The 10 acre property which is now known as Auchmar is the landscaped portion of a much larger estate established by lsaac Buchanan, a major figure in business and political circles in pre-Confederation Upper Canada. 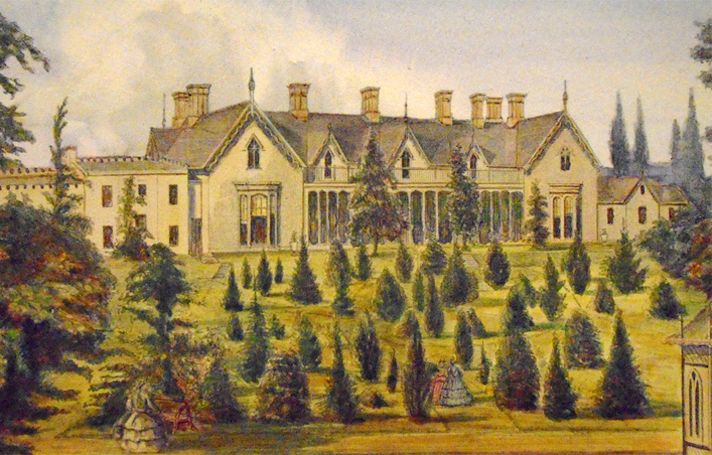 In 1855, Buchanan built the estate on a scale similar to that of Dundurn Castle: an imposing Gothic Revival manor house surrounded by magnificent landscaping and outbuildings. The main house stands at the high point of the property, and faces north across an approach which included garden paths, an extensive orchard, and a long entrance drive lined by a row of trees. Other prominent features include a high garden wall with arched passageway and a well-preserved carriage house and dovecote. 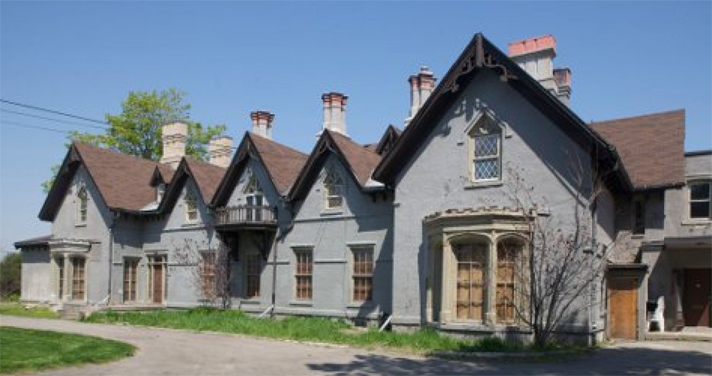 As an intact country estate in the middle of our city, Auchmar is so much more than the sum of its parts; it truly is the “Dundurn of the Mountain” and is indisputably one of Hamilton’s most important surviving heritage properties. As a provincial historic site, it is subject to a conservation easement to protect, in perpetuity, its integrity and heritage features. Due to a history of continuous occupation until 1999, the property has been maintained and retains most if its important heritage features. Over the years there have been several initiatives to get an Auchmar restoration project underway and currently several features have been restored. In 2015, the City of Hamilton voted to keep Auchmar Estate in public hands and would try to negotiate a lease or operating agreement to have the property responsibly used. A group of citizens with an interest in the future of the Auchmar property have established Friends of Auchmar. The group held its inaugural AGM in October 2012 and has a website that highlights Auchmar and the activities of the group. Visit their website at friendsofauchmar.com and consider lending your support to this initiative.